Building on a report published by Scottish Natural Heritage last year, a new project will help boost the number of golden eagles in the South of Scotland. The project will look in detail at further work needed to revive the population, and build on the excellent partnership forged to realise the ambition of having more of these birds in the south. Minister for Environment, Climate Change and Land Reform, Dr Aileen McLeod, formally launched the South of Scotland Golden Eagle Project at Langholm Moor yesterday morning at 11.45am. “Golden eagles are truly magnificent birds and it is very exciting that the South of Scotland could potentially support more than a dozen pairs. This new project at Langholm Moor is a great opportunity to re-establish this species in this area along with all the environmental and economic benefits that brings. This project has its roots in a joint initiative between Scottish Land & Estates and RSPB Scotland who came together in the summer of 2008 to produce a proposal with the aim of trying to understand what was limiting the golden eagle population in the South of Scotland. This resulted, last year, in a Scottish Natural Heritage (SNH) published report ‘Golden Eagles in the South of Scotland: an overview’. This new project builds on the 2014 report published by Scottish Natural Heritage (SNH), which found that Southern Scotland could potentially support up to 11 to 13 pairs. 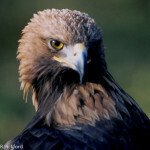 Presently, there are no more than two to four pairs of golden eagles in Southern Scotland, with limited nesting success. Following an approach last year by Scottish Land & Estates, RSPB Scotland and Buccleuch Estates to the Minister, a partnership has been formed to take the work forward, along with SNH. The partnership is currently looking to involve a wide range of stakeholders. Duncan Orr-Ewing, of RSPB Scotland commented: “We are delighted to be working in partnership with SNH, Scottish Land & Estates and Buccleuch Estates to help reinforce the population of one of Scotland’s most iconic species, the golden eagle, in the south of Scotland. The initial scoping work by the partnership is showing healthy prospects for a thriving golden eagle population in the future in this area. We hope to secure official approval in due course to make this project a reality, following engagement with local community and other interests to secure their support. This project will contribute to the delivery of the emerging Scottish Biodiversity Strategy”. Dr Cat Barlow has been appointed as project manager to take the work forward. A project team has now been formed. The team will focus on further assessing the viability of the golden eagle population, and identifying areas/sites and management measures which could benefit the birds. Guided by the National Species Reintroduction Code, the team will undertake a formal assessment of habitat and other management measures to reinforce the population. The Forum commented on the summary assessment of prospects for a reinforced population against the criteria set out in the recently published Code (http://www.snh.gov.uk/publications-data-and-research/publications/search-the-catalogue/publication-detail/?id=2178). The Forum concluded that the prospects for golden eagles were potentially very good if a project was devised to follow a number of steps. 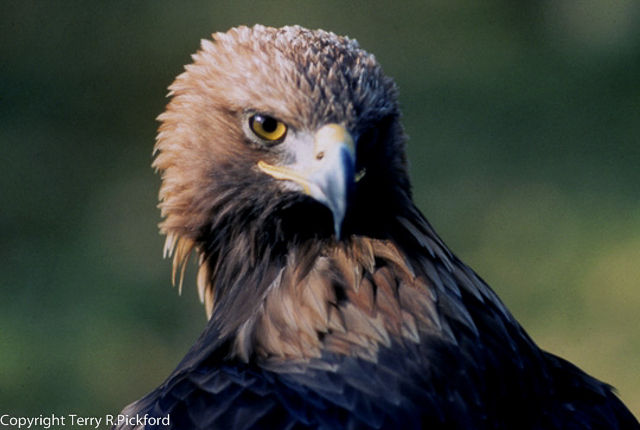 The South of Scotland Golden Eagle Project is being supported by Buccleuch Estates, Scottish Land &Estates, RSPB Scotland and Scottish Natural Heritage.